Bintray’s latest version introduces an upgraded graphic downloads statistics feature. 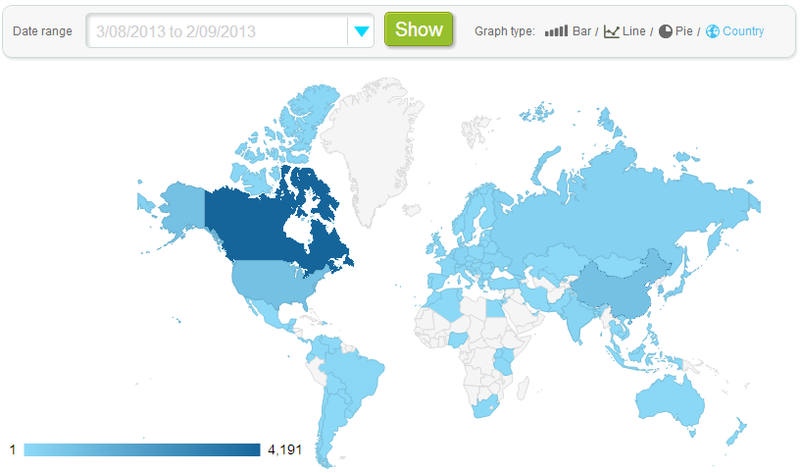 Now you can view the statistics of all package downloads segmented by date, version and country. You can view the download stats for the last 24 hours by hour or select a wanted date range within the last 30 days. For unbounded date range download stats, simply link your package to Bintray’s JCenter repository, which is the largest collection of java libraries around. We plan to roll out the unbounded stats feature for more repositories in the future, but if you have a popular non-java library, we may beta-enable this for you.